MOSCOW, November 22. /TASS/. 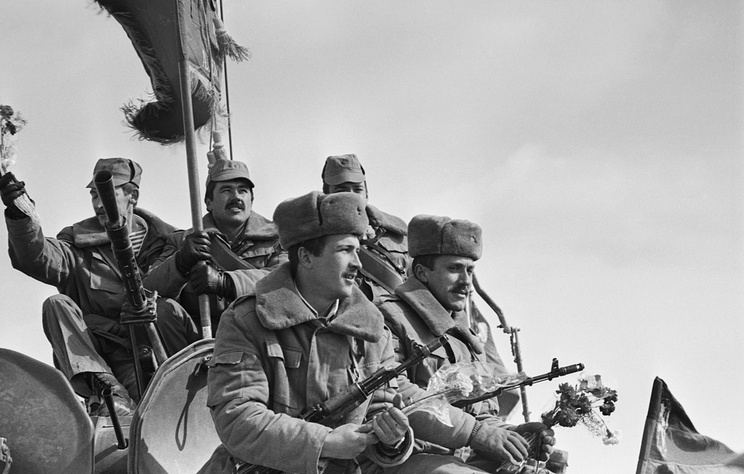 The decision of the 1989 Congress of People's Deputies of the Soviet Union to condemn sending Soviet troops to Afghanistan was historically unfair, according to the draft statement of the State Duma planned to be approved by the 30th anniversary of the Soviet withdrawal of Afghanistan on 15 February 2019. The document designed to provide new political assessment of participation of Soviet troops in the Afghan war in 1979-1989, was approved at parliamentary hearings on Wednesday. "On this day, the State Duma considers it necessary to recognize as inconsistent with the principles of historical justice the moral and political condemnation of the decision to send troops to Afghanistan in December 1979 expressed in the resolution of the Congress of People's Deputies of the Soviet Union from 24 December 1989," the draft statement said. "It is necessary to proceed from the fact that the decision to send limited contingent of Soviet troops to Afghanistan was made in December 1979 in accordance with the Agreement on Friendship, Good Neighborly Relations and Cooperation between the Soviet Union and the Demoractic Republic of Afghanistan and taking into account multiple requests of Afghanistan's leadership for direct Soviet intervention into the conflict," the statement added. State Duma members want to emphasize that they "remain committed supporters of strengthening friendly and good neighborly relations with all peoples and are ready to direct their efforts at basing Russian-Afghan relations exclusively on the striving for comprehensive cooperation for the benefit of the peoples [of Russia and Afghanistan] and countries." "State Duma members are convincev that tragic events of the military conflict in Afghanistan should be considered on the basis of political impartiality and historical truth. Careful and detailed study of Russian-Afghan history will facilitate full-scale restoration of bilateral relations," the draft added. Chairman of the State Duma's committee on defense Colonel General Vladimir Shamanov explained the importance of the draft statement. "Thirty years have passed, but all of us still ache in some way from those events not only because we did not expect such an end to those developments after 10 years [of a military operation], but also because of the assessments that were made too fast. Of course, neither the leadership of the state that made this decision [to send troops to Afghanistan] nor servicemen and civilians deserve such assessments," Shamanov said.